A luxe take on the classic Superga shape, these super-soft real leather trainers are a fash-pack fave RN. Featuring an uber-comfy cotton lining, along with the iconic rubber sole, the mono-cool colourway is guaranteed to work with your entire summer wardrobe. 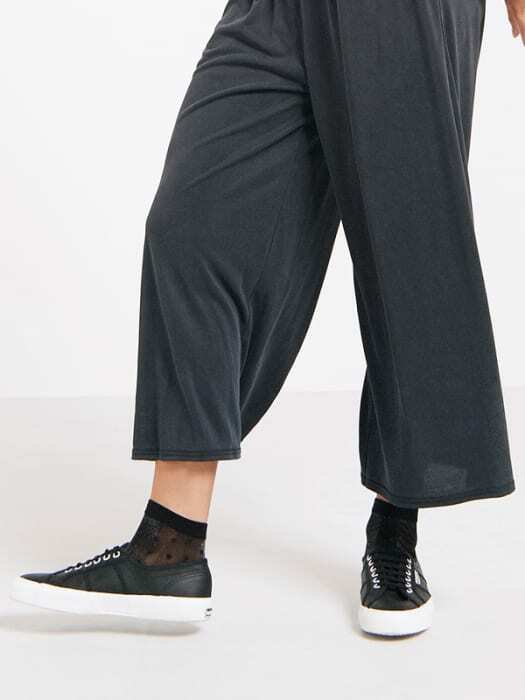 Personally, we love them with this season’s wide leg trouser.